In today’s economy, it is not just important to have a good service or a good product. You also need to have the best and the most amazing marketing campaign nearly to stay on the market. The better your campaign is the more likely it is that you will be the next hit and the next best product in your niche. However, for people to realize that you exist, you need to make sure that they see you and that they know that you are present. The biggest and the most successful brands are known even to the people who have nothing to do with their niche, but it is quite enough for you to be big among your own target group. In other words, everyone knows that Michelin are the tires, even people who know nothing about cars and their parts and accessories. 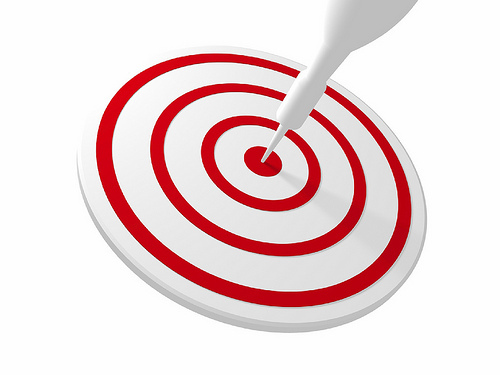 This is what you need to do within your target group of clients. Since everybody googles everyone and everything today, you can bet that your potential customers will Google you as well before they decide to purchase what they need from you. However, they will not Google for you precisely, but they will be googling for a product. You need to make sure that they end up on your site. In order for that to happen, you need an excellently done website with great SEO strategy. Both on-site and off-site, you should make your site attempting for Google so that it ranks you as high as possible. Blog as a part of your site is a real necessity. Not only that the relevant content of your blog, together with news and promotions announced there gather more and more people to come visit your site, but it will also build up the credibility of your site within your niche. More credibility means more clients coming your way, and all of them directed there by Google. Social networks have the same effect, so sure them wisely as well. Besides these obvious things and your online presence, you also need to use Internet in other ways as well. Some of the very effective ways is the email list or the press release sites. You should be publishing at least one press release a month and you should be gathering all the right people on your email list. Press releases need to informative and placed on the best possible press release sites. Otherwise, they look like spam and that is the last thing you want. When it comes to email lists, you need to make sure that your clients are there willingly. This is very good for bringing the old customers back by reminding them of the great experience they had with you. Give them the chance to learn about your new products that they can be interested in, or all about the details and products that go with the thing that they already have. For example, if they bought a laptop from you, send them an email when the laptop bags are on discount. All these are the ways to have your clients come to your website. However, that doesn’t really mean that they will buy anything. In order to convert those visits into purchases, you need to make clear calls for action throughout your site. Tell people what to do, and they’ll listen! An author of this article is Diana Smith. She is a regular contributor to several business and marketing blogs. Diana loves to write about new ways to promote business. Information for this article has been kindly provided by Promo Planet.